that way you can keep tabs on me without having to trawl the whole of cyberspace, cool eh? Thanks Omar, but I already knew that. ok, thats good. just making sure. 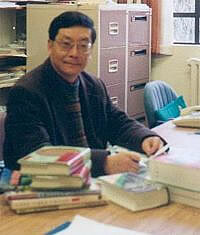 Well done Mr Li, you have the guts to say what most Westerners know, that Mao was a mass murderering scumbag. However his actions are completely compatible with the socialist ethic of statism and social engineering (right up to the point of executing those who refuse to be engineered) so we shouldn't really be too surprised. Socialism means rule by force; dictatorship of the proletariat means just that - your life belongs to the state. Free thinking people should resist socialism along with any other totalitarian political system.